Common dates in low grade would have a premium provided that they are more or less intact and in collectible condition. Series B notes wrote: I got this 10 pound for 33 euros recently. What could the resale value be? Probably what you paid for it. Pic is a bit blurry. I have 3 Books/folder's of old banknotes from around the world & some from Ireland too. Is there anywhere In Ireland I could bring them to get a valuation on the whole lot would you know? The best place to bring them in Ireland would be to the next Coin and Banknote fair in RDS Dublin, in February. There will be a good range of dealers there, so you will be able to get a range of valuations on your notes there. What would you say the maximum resale value for this 100 pound is? Also, what would you say this set is worth? I want to buy one. That £100 note (assuming that it has not been cleaned) would fetch something under 200 Euro, 180 or thereabouts. I have no idea about the £1 collector set. I have one too. They are quite pretty. I paid around $25 for it in a small numismatic auction a few years ago. Mac, when I make future valuation requests, can you please quote the price in Sterling? I am based in Canada, and it is MUCH easier to convert Sterling into Canadian dollars off the top of my head because the euro is so volatile nowadays. Sorry about this. I am just so sick of plugging numbers into a currency converter after valuations. Series B notes wrote: Mac, when I make future valuation requests, can you please quote the price in Sterling? Nope. 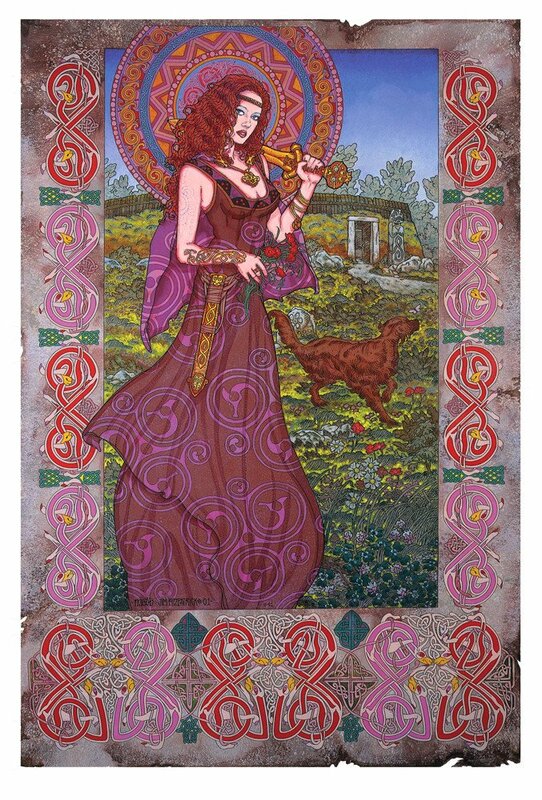 The currency of the forum is that of Ireland, currently the Euro. Most people asking will be from Ireland, and most old Irish notes turn up in Ireland. Besides, it has never been easier to obtian an accurate up to date exchange rate on the, uh, internet. ThePloughman wrote: I have one too. They are quite pretty. I paid around $25 for it in a small numismatic auction a few years ago. This 10 pound note is listed on eBay for 47 euros. How much should I expect to pay for it? NOTE: Pics were too large, so I had to crop, couldn't resize. Hope you can see them okay. There is a reason for the limit on picture sizes in posts, so the forum database doesn't get clogged with heavy images—chopping them up doesn't fool the moddies! This 5 pound note is listed on eBay for 18 euros. Does that sound like a fair price to pay for it? Also, here is a proper picture of the 10 pound note. 18 Euros is about $22. that sounds ok if it has no creases (looks ok in the pic) watch out for the postage costs if it is coming from Europe. How much would you value the 1st error note at? I want to buy it, and seller says he can do 250€. Please make requests for valuations in the valuations requests threads. Thank you. This post has been moved. 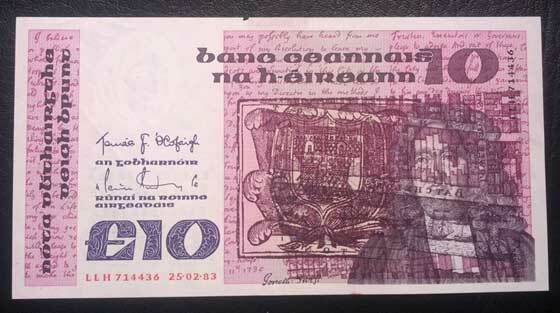 Generally, Irish error notes sell for 200-300 Euro, depending on the nature of the error. It is a specialised collector niche. The note you refer to, pictured below, would fall into this category. It is up to you to decide what it is worth to you.